Spa Resort Casino is the second casino run by the Agua Caliente Band of Cahuilla Indians, with the other being the Agua Caliente Casino. 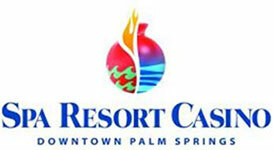 Spa Resort Casino is located in popular Palm Springs. Spa Resort, as the name suggests itself, isn’t only a casino. Here you can enjoy the spa and stay in the adjacent hotel. This resort also has a solid entertainment offer. You can grab a bite to eat at the Steakhouse, the Noodle Bar, the Oasis Buffet, the Corner Deli, or have a drink at the Sundance Bar. A lot of live events also take place here, including a number of concerts and the Cascade Lounge has a very interesting program as well. Spa Resort Casino has a serious gaming program. Firstly, you can benefit from a selection of promotions offered on a regular basis and you may also become a member of the Paradise Rewards Club and earn points with every dollar you wager. In terms of games, there are a lot of slot machines and numerous table games, plus a high-limit room. You can play Blackjack at more than few tables at Spa Resort Casino and some of the games also feature very interesting side bets. Spa Resort Casino offers standard 6-deck Blackjack. The dealer is supposed to hit on soft 17, doubling down on any two cards and after splitting is available, but you can’t re-split aces or surrender. The house edge for the game is about 0.61%. The table limits may vary. The good thing is that you can play this game for as little as $5, but the lower limit may also be $10, $15 or $25. The maximum amount that you can wager is $1,000, but this game is also available in the High Limit Room. The 6-deck Blackjack at Spa Resort comes with an interesting side bet – Lucky Lucky. The side bet is based on the combination of the player’s starting two cards and the dealer’s face-up card. If the three cards give a total of 19 or 20 you get a 2 to 1 pay-out on the side bet. If the total is 21, then the pay-out is 3 to 1, whereas suited 21 pays 15 to 1. If you have a 6-7-8 combination, you’ll receive a 30 to 1 pay-out, whereas for 3 sevens, you’ll get 50 to 1. If you’re lucky to get a suited 6-7-8, the pay-out is 100 to 1, whereas for a suited 7-7-7 combo you’ll get $200 for a $1. The double-deck variant has a minimum bet of $25 and a maximum of $1,000. The dealer also hits on soft 17, and it is possible to double down any two cards and after splitting, but you can’t re-split aces or surrender. The house edge here is 0.40% and this is the lowest house edge game in this casino. On single- and double-deck games, Spa Resort Casino offers the Player Pairs side bet. The single-deck is offer considered to be the preferred variant for card counters, but the rules at Spa Resort Casino don’t make it too favorable. The dealer hits soft 17, but there is no doubling after splitting, no re-splitting of aces and no surrender, whereas the Blackjack pay-out is 6 to 5 and not 3 to 2. The minimum wager is $10, whereas the maximum $500. The house edge for this variant is 1.58%. Spanish Blackjack is an interesting variation that is played without the 10s, so the playing deck is consisted of only 48 cards. The dealer hits soft 17, and a player’s 21 always beats dealer’s 21. Same goes for Blackjack, if the player has a natural Blackjack, it is an instant win for them. Moreover, there are also certain bonuses paid on certain combinations of cards that make the game even more beneficial. It is obvious that the best game for counting cards is the double-deck game. The single-deck Blackjack at Spa Resort Casino is practically useless, due to the 6 to 5 pay-out, which makes the game very unfavorable. The problem is that this casino has a very cautious staff team who pay very close attention to what’s going on in the casino and you might get caught if you try to increase your wagers and make a big profit. You should be very careful if you plan on counting cards here. If you visit Palm Springs, you should definitely at least consider a visit to the Spa Resort Casino. It has a lot to offer and not just in terms of gaming. Their games may not offer the best house edge, but it’s not the worst either. Counting cards can be challenging, but not impossible. In short, it is worth a try.